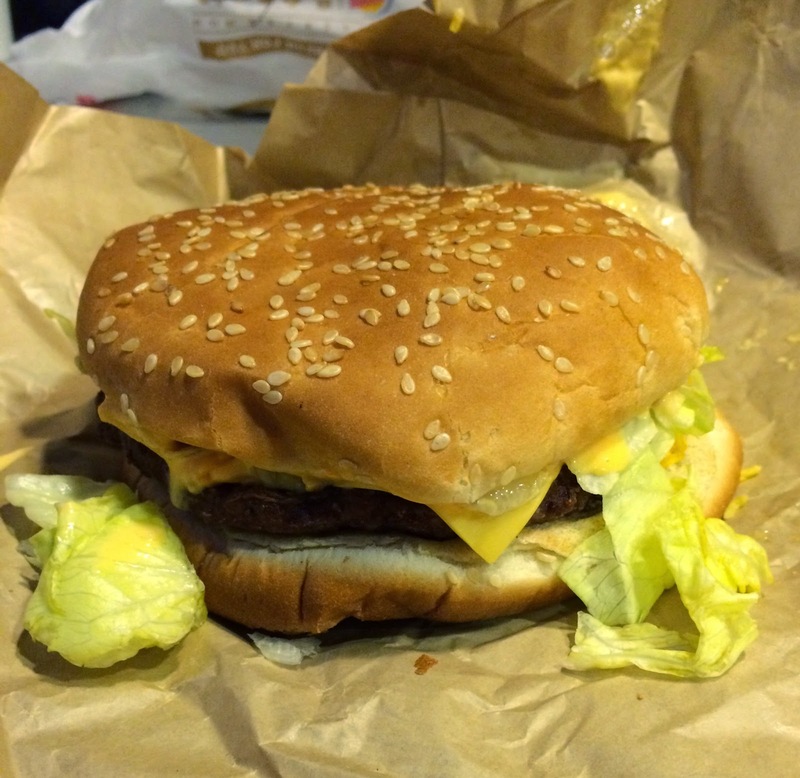 * This is my 1000th article, and it's "Four Cheese Whopper" from Burger King. The wrap had a rough handwritten "4" on the top. 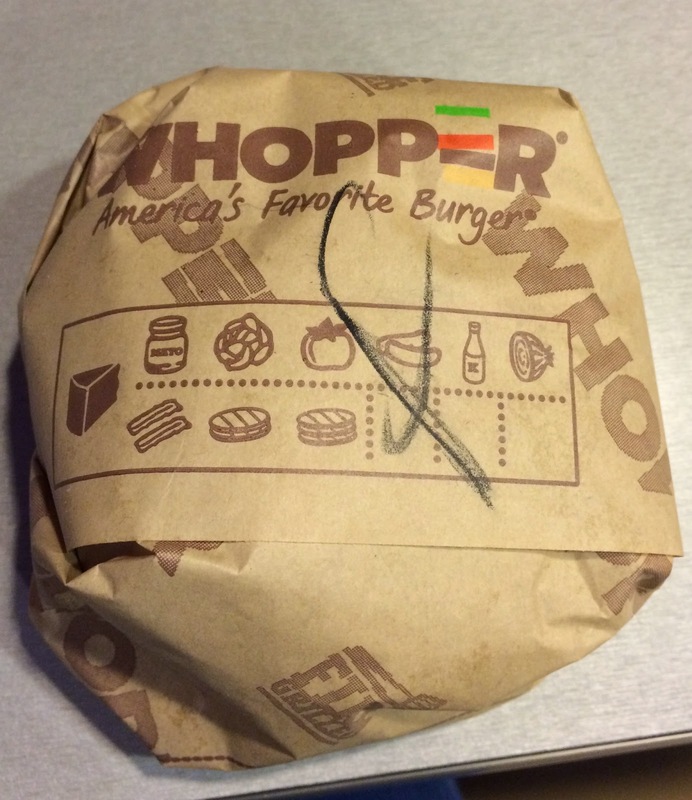 The Whopper didn't look like the poster; pressed and squeezed. And even before I took a bit, it had very strong cheap cheese sauce scent. 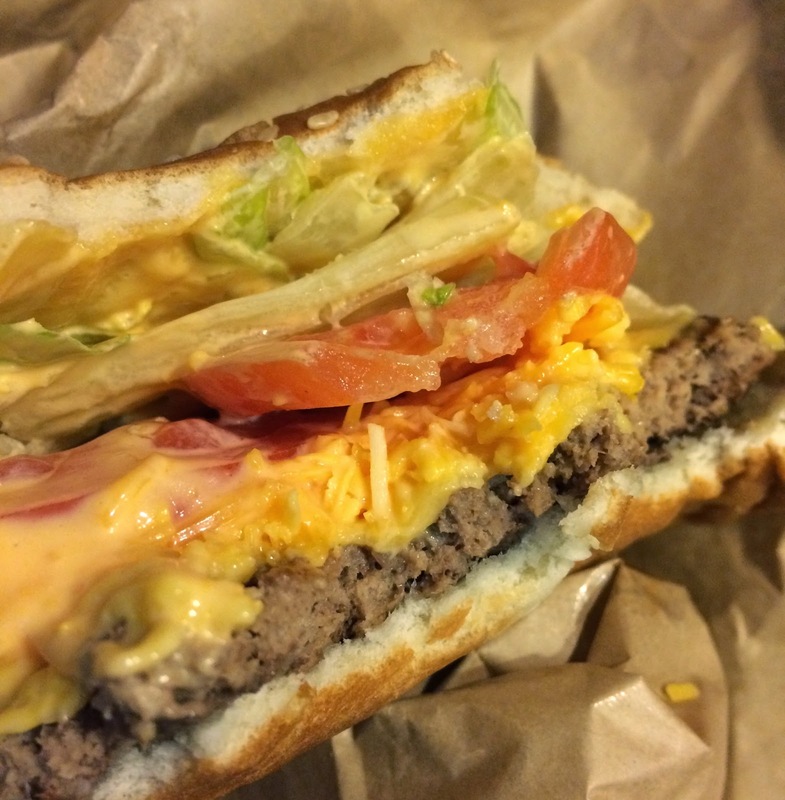 There're yellow cheese sauce all over between buns, and it smelled like Movie Nachos' cheese sauce. There're sure lettuce, onions and tomatoes as shown the HP but not neatly inserted. 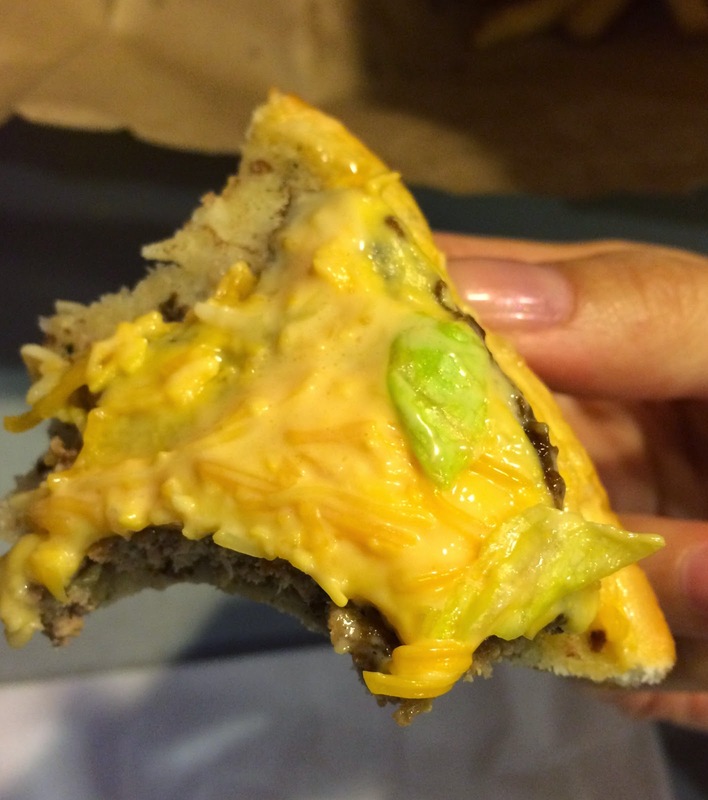 When I had a bite, I tasted several flavors and felted different texture of cheese with soft buns and smoky beef patty. The HP says it's melted American cheese, a creamy three cheese blend and cheddar sauce, but I had no idea where was American cheese, so I kept eating to see if I'd find something new. I saw some fine shredded cheese in the center, but I have no idea what kinds they used. They looked similar to mozzarella, cheddar and monterey jack to me. 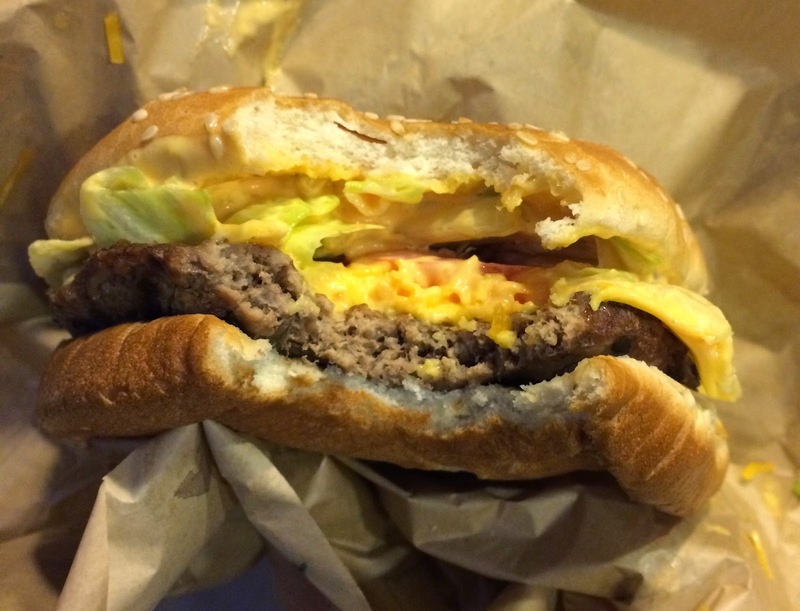 When I consumed about 3/4 of the burger, I could finally see a slightly melted American cheese. 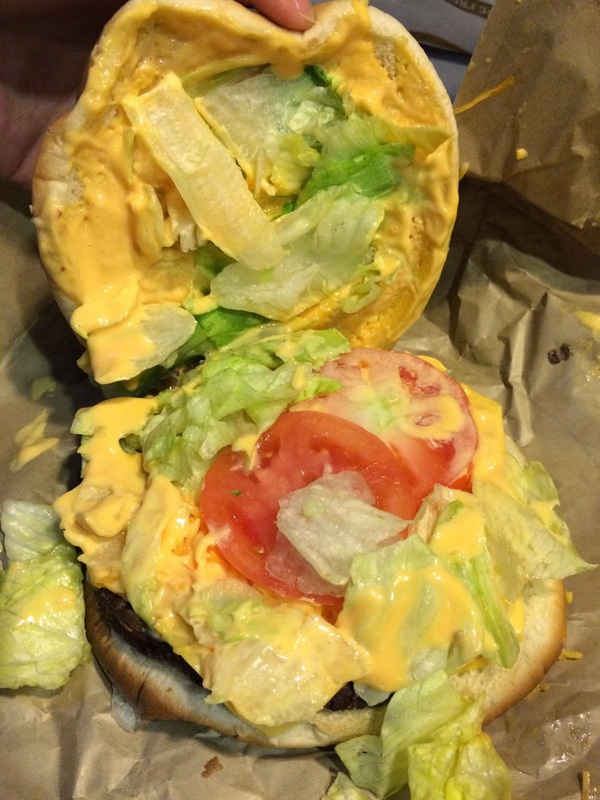 It's very cheesy Whopper and even though I'm a cheese lover, after reaching half of the burger, I started getting bored at the flavor and sloppy cheese. 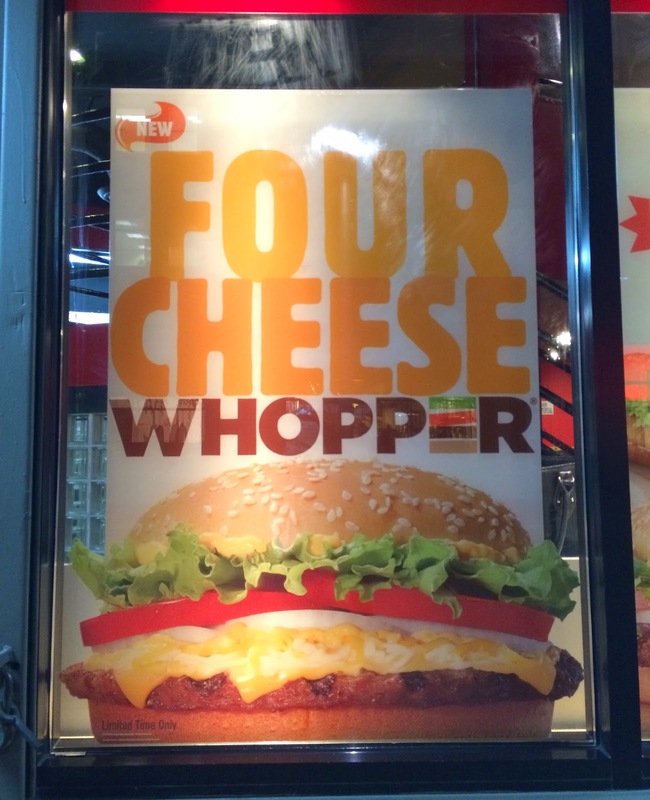 I wish they also offered Whopper Jr. then I would have enjoyed all the way.